Pennsylvania/Maryland residents become a Preventative Maintenance Customer! Advanced Air Services offers one of the best ways to protect and invest the HVAC system in your home is with a maintenance plan service agreement. Just like your vehicle needs regular service to ensure that everything is operating correctly, your heating and cooling equipment should be inspected and tuned up to achieve optimum performance.Just like putting off that service for your vehicle, can result in profound consequences in the long run, failing to maintain your home HVAC system regularly, can lead to serious problems with your heating and cooling system!! 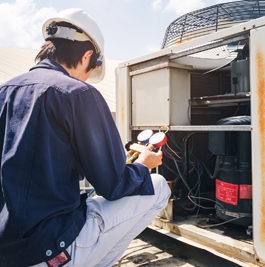 A delay in servicing your HVAC equipment can lead to unnecessary break downs, leaving you uncomfortable. A preventative maintenance plan allows you to identify problems early and take care of your HVAC system, as well as, to receive maximum number of years out of your system!! Invest in you HVAC system for year-round comfort. Contact us at 717-762-8800 to sign up for our Peak Performance Maintenance Agreement today! Out preventative maintenance agreement can prevent the amount of emergency repairs that are made over time, saving you money. When was the last time you had a licensed HVAC technician check and service your system(s)? Give yourself peace-of-mind for your home’s heating and cooling comfort, let Advanced Air Services check and service you HVAC unit(s). Benefits of a HVAC Preventative Maintenance Agreement?